Multifunctional, simple and stylish storage unit. The KUBI has three deep and spacious storage bins, which are a great storage solution for home, office or kitchen. Built exclusively from reclaimed iron for an industrial look, the KUBI is smart and stylish. 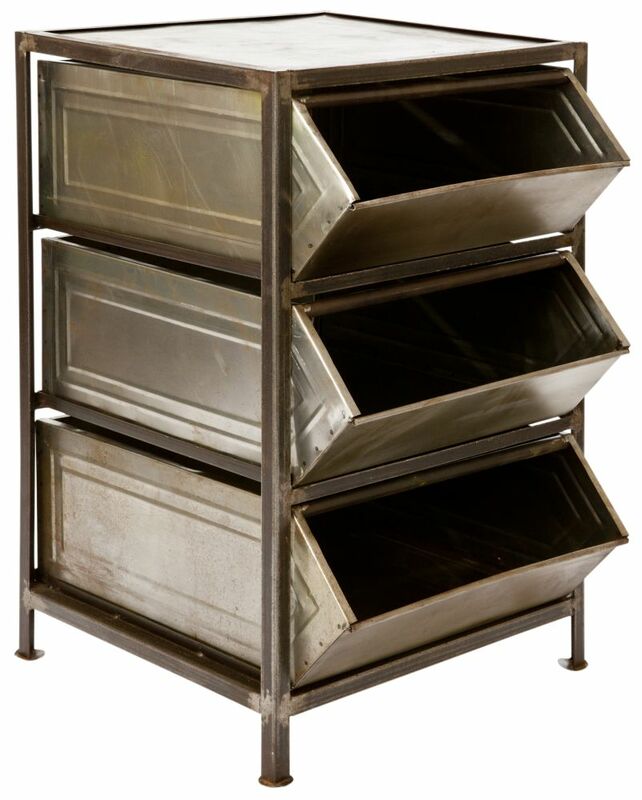 All three bins slide out with ease from the base frame constructed from disused steel pipes and angles.